You greet guests with a firm handshake and warm hospitality as you show them to their table. The kitchen goes into action preparing a delicious meal. It all has to happen in a sparkling dining room and immaculate back of house. Otherwise, you lose business. Are you depending on your busy restaurant staff to handle the deep cleaning it takes to impress customers and satisfy the health department? As hard as your staff works, they don’t have the time, tools or special training to tackle the job. You need an experienced restaurant cleaning company, and ServiceMaster Restoration by Zaba is at your call. Our restaurant and kitchen cleaning services are available for scheduling that best suits your business hours. We set up regular weekly visits or month-by-month arrangements. Our staff consults with you to determine what you need done, and we customize a schedule that fits your timetable. What’s Involved in Restaurant and Commercial Kitchen Cleaning? If your restaurant serves around the clock, count on us to develop a timetable that works for your business. If you cater to private parties and weekend guests, we customize our schedule so that your location always looks its best. From large dining venues to neighborhood cafes, ServiceMaster Restoration by Zaba take cares of it all. You want dependable, experienced restaurant and kitchen cleaning services for your Chicago restaurant. We’re always ready to serve you with our very best. As a restaurant owner or manager, why can’t I just let my staff handle the cleaning? In addition to waiting on guests and prepping meals, your wait staff and kitchen personnel stay busy with opening and closing shift duties. They don’t have time to effectively take care of the detailed cleanup or big jobs addressed by a professional restaurant cleaning service. How often should I schedule restaurant and commercial kitchen deep cleaning? We recommend deep cleaning for both front and back of house at least once a month. This type of maintenance helps identify and eliminate small problems before they become big headaches. Regular deep cleaning is especially important in commercial kitchens because it helps reduce the risk of fire. Can small operations afford your full line of services? Yes. Our cleaning services for restaurants in Chicago and the suburbs take care of national chains, local franchises and privately owned locations. We customize our services to fit your property without stretching your budget. How is your restaurant cleaning company different from other contracting services? 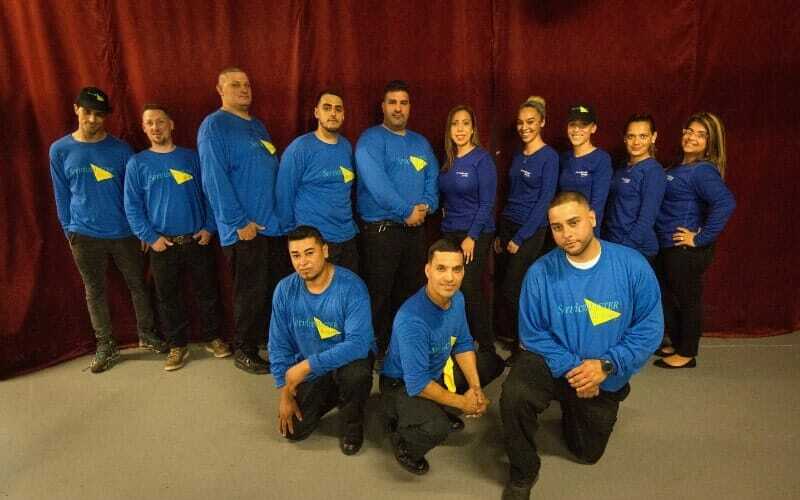 Our teams members are fully certified and highly trained using the industry’s latest cleaning equipment and techniques. We handle all types of commercial properties in all kinds of settings across the city.